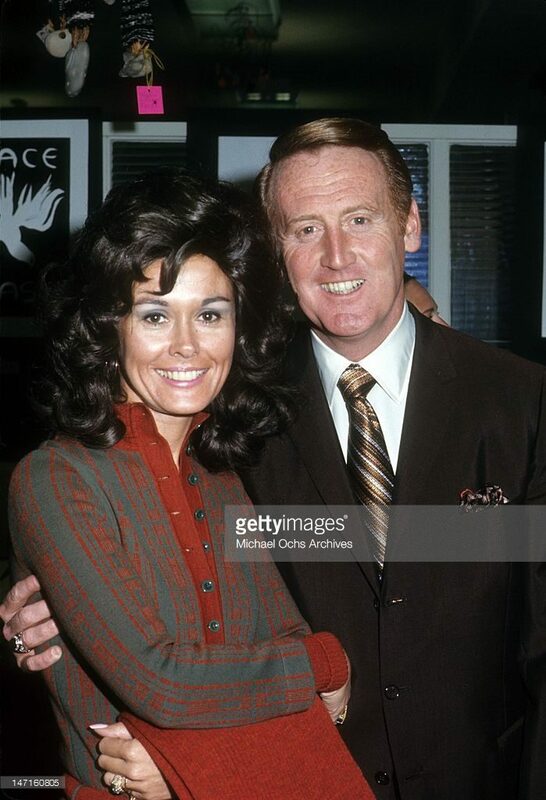 One of the true good guys left and a true American hero, Vin Scully, is from a better time when the country was not overrun by black terrorist groups, a gay agenda, stupid liberal celebrities popping off on politics and when women dressed like ladies, not like whores. So let’s take a moment to honor this man as he nears retirement at age 88. 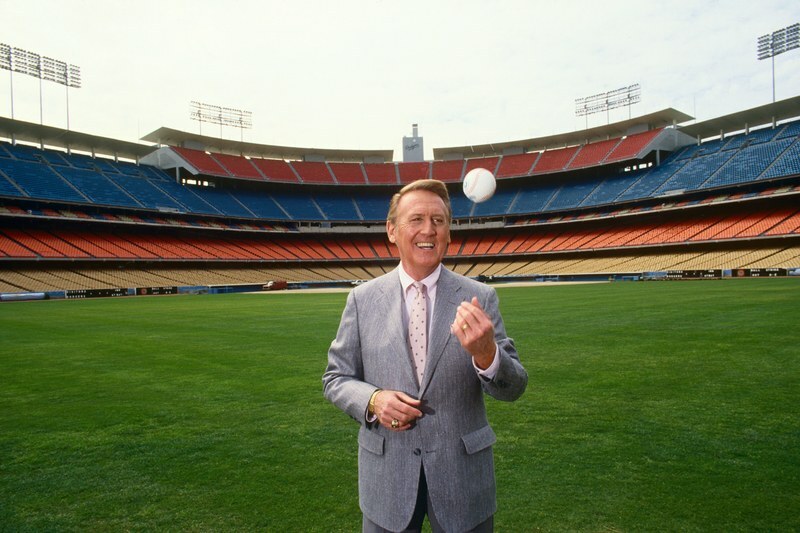 If Vin Scully’s impending retirement hadn’t sunk in before Friday night, it certainly has after he penned a touching letter and then delivered a moving farewell speech in front of an appreciative Dodger Stadium crowd. The maestro of the microphone was treated to a spectacular video tribute covering just some of the great moments of his career. 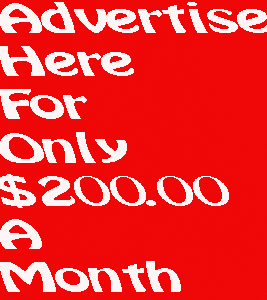 Because covering all of them would have taken a month. 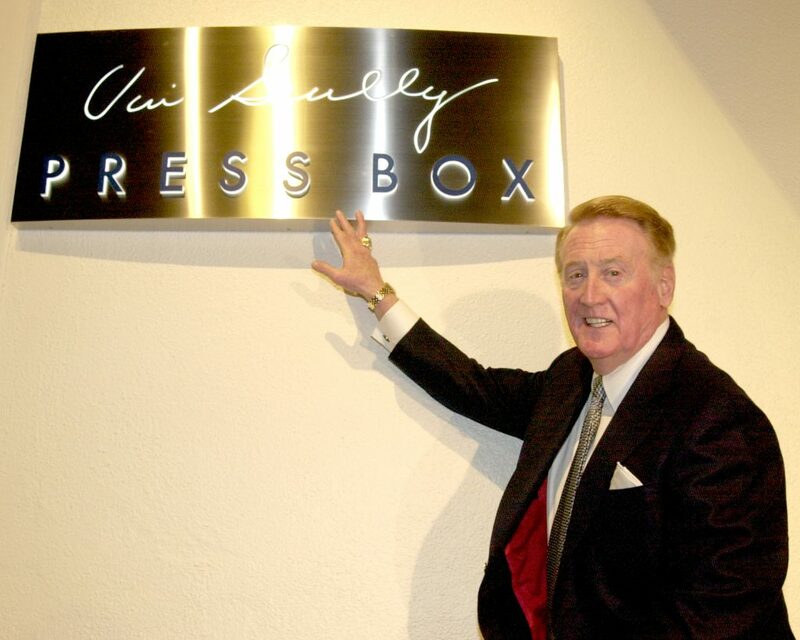 He was then greeted by a three-minute standing ovation, before hitting his anticipated speech out of the ballpark in a way only Vin Scully could. It was six days after the tragic events of September 11, 2001. The Dodgers had been in the midst of a road trip, and returned to Chavez Ravine to take on their Southern California neighbors, the San Diego Padres. 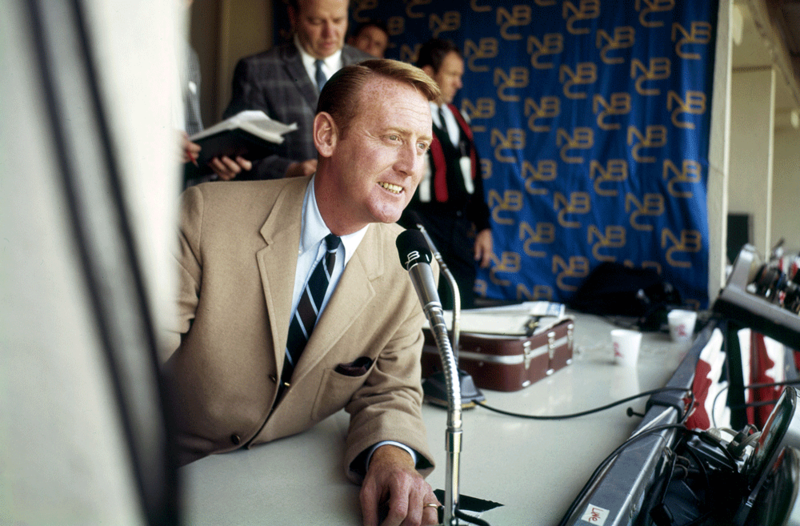 Vin Scully cut his teeth as a broadcaster while attending Fordham University, following a two-year stint in the United States Navy. 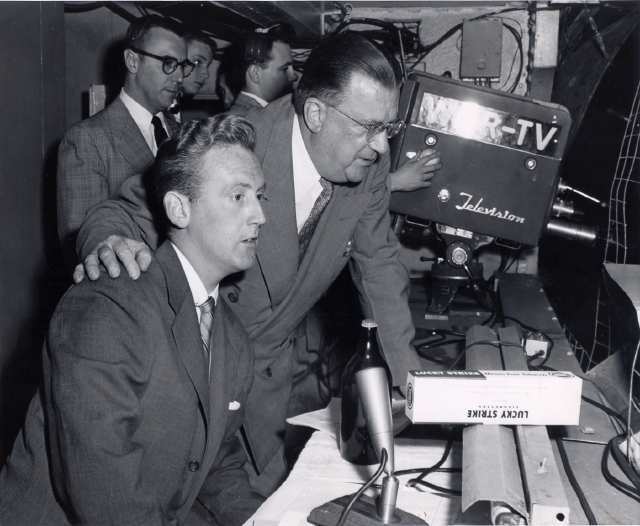 Red Barber, the sports director of the CBS Radio Network and voice of the Brooklyn Dodgers, was initially impressed by his college football coverage—specifically a November 1949 University of Maryland versus Boston University football game played at Fenway Park in Boston. As legend has it, Scully called the game from the frigid stadium roof. 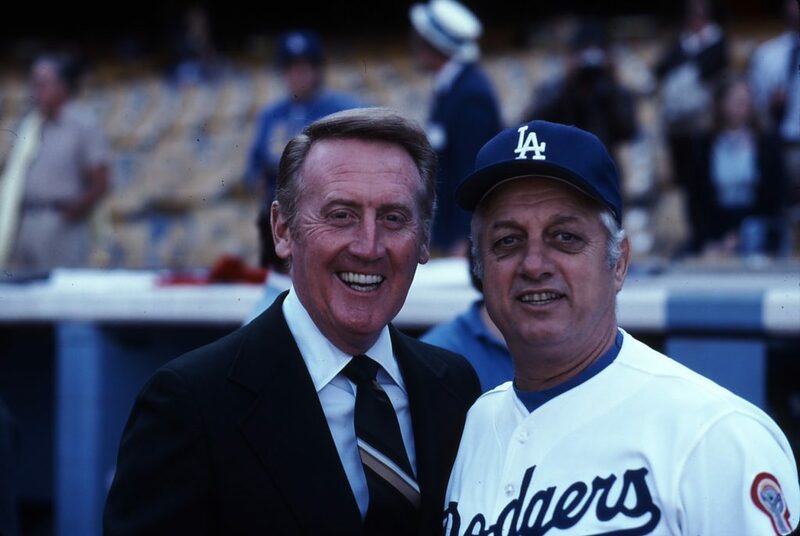 By 1955, Scully was the Dodgers primary announcer. Two years later, the franchise made the pilgrimage west, leaving behind the sounds of rattling trains for the motor-filled chatter from Cadillacs and Buicks speeding through Los Angeles’s desert climate towards the Memorial Coliseum where they would play until they had a more permanent home. In 1962, the Dodgers found that permanent home in Chavez Ravine in the Elysian Park area. Prior to their arrival, the City of Los Angeles had acquired the land using eminent domain with funds from the Federal Housing Act of 1949. Those that were immediately struck with baseball fever were often seen carrying transistor radios while attending a game. Many speculated this was due to the fact that the Los Angeles Memorial Coliseum was so massive that it was hard to follow balls and strikes. With a more suitable venue for baseball, the tradition continued. 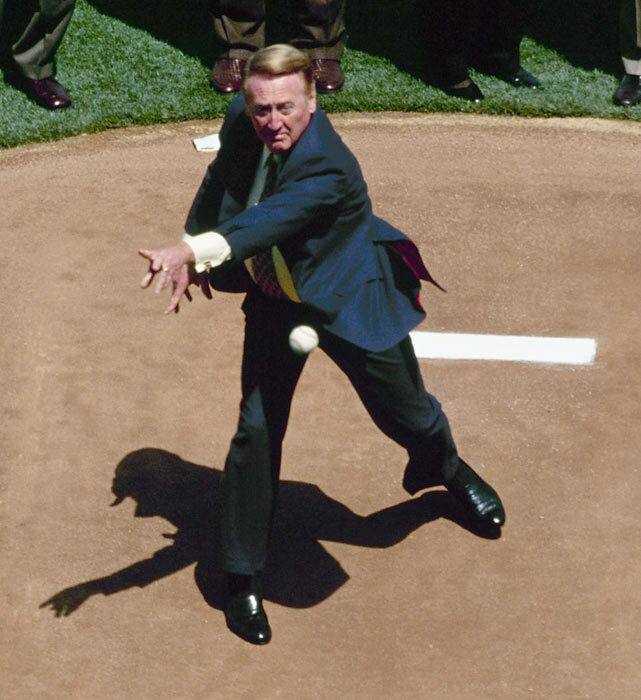 People were hooked on Vin Scully. 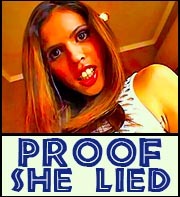 Don’t ask how Scully knows these things. He just does. He’s as well-versed in the name of player’s pets as he is in calling ball and strikes. He’ll tell World War II stories about operation Overlord, the largest air, land, and sea operation undertaken. He’ll tell stories about the time a player was attacked by a wolf. And inevitably, he will give you goosebumps listening to baseball lore about greats like Satchel Page. For every fish story he gives you, he always manages to bring it back to baseball. Although Scully has an ease about him, his life hasn’t been one smooth ride from Brooklyn to Los Angeles. In 1972, his wife of 15 years and the mother of his three children, Joan Crawford (no relation to the actress), died of an accidental medical overdose. 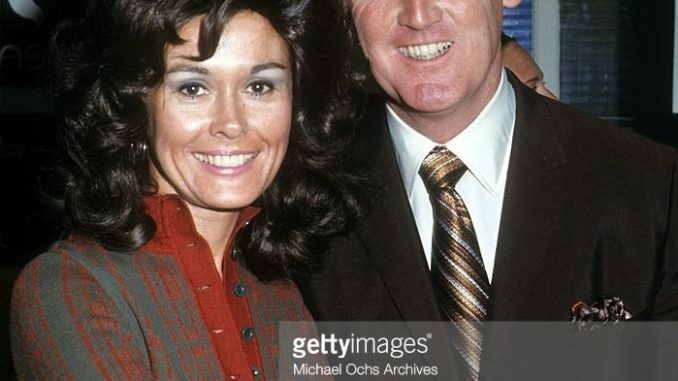 Despite his grieving, Scully continued to come in to work, and it was through the Dodgers that he met Sandra Hunt, who was working for the team as an executive assistant. After a nine-month courtship, the two married in 1973 and remain a partnership to this day. Scully faced an additional tragedy when his eldest son, Michael, died in a helicopter accident while working for the ARCO Transportation Company and inspecting oil pipelines for leaks near Fort Tejon, California in the immediate aftermath of the Northridge earthquake in January 1994. Through it all, Scully always returned to his baseball sanctuary. Perhaps Scully needs us like we need him.